Ayurveda, the science of life, officers a complete solution with medicines, diet and lifestyle. 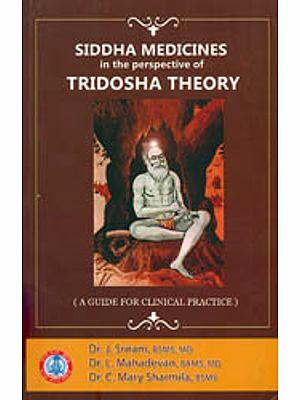 The radical shift occurred in defining health encourages the medical fraternity of modern times to look deeply into empirically evolved Ayurvedic techniques for the maintenance of positive health. 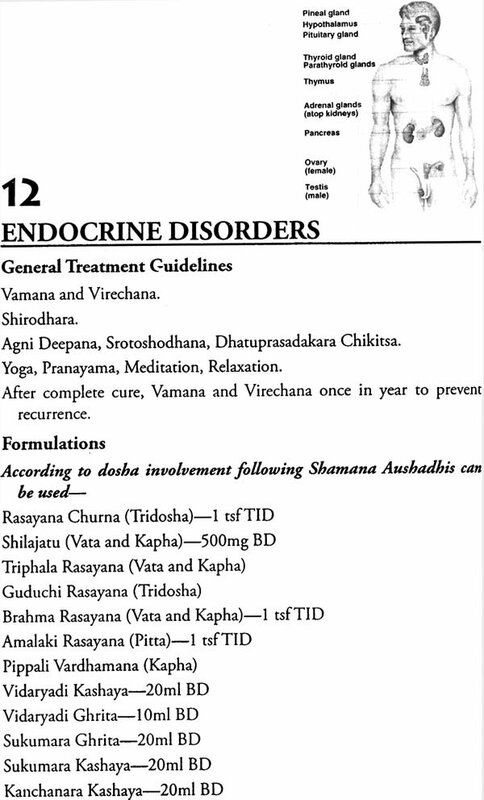 In order to diagnose the disease on the basis of Ayurvedic principles, the physician should have to work very hard to know the subtle changes occurring inside the body due to the imbalance of dosha. 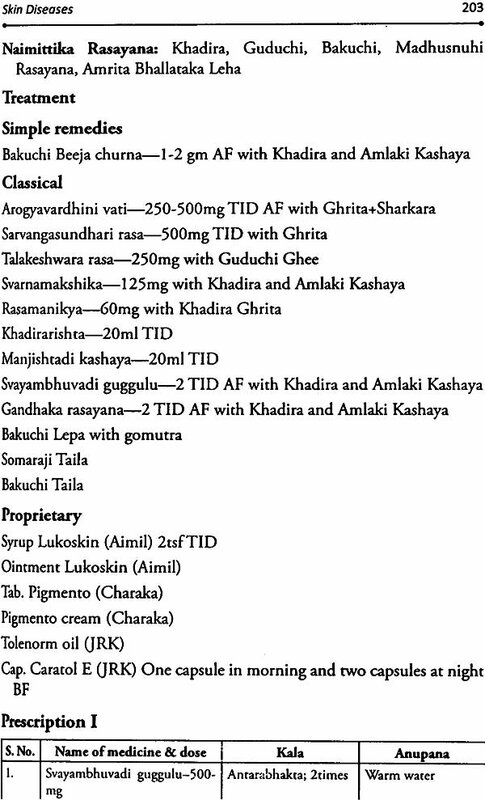 To become perfect in Ayurvedic diagnosis, the physician needs to understand dosha vikalpa (dravyataba-gunataba-karmataha vriddhi of dosha), dhatu vaishamya (the quantum of vitiation, the status of dhatu & srotas), agni stbiti and nature of ama. It is essential to get the practical training from the Guru (Teacher) in order to become perfect in Ayurvedic diagnosis, as evidenced from the Vagbhata’s citation “The proficiency comes by continuous practice just like the genuiness of diamond etc. can’t be known by mere reading of books”. The fundamental principles for treating any disease are bio-purification, palliative medicine avoiding the causative factors. Considering this, the author tried to incorporate these triad principles of treatment. 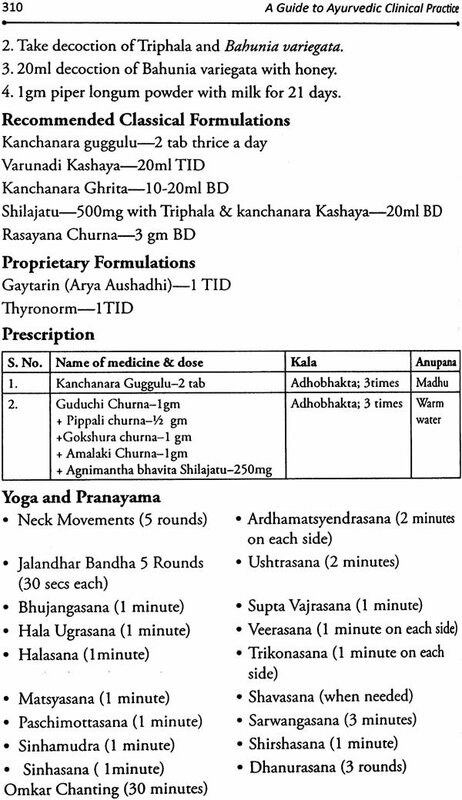 For every diseases, cause, symptoms, prognosis, principles of treatment, panchakarma treatment, palliative treatment, formulations, prescriptions, yoga therapy, pathya-apathya are explained. 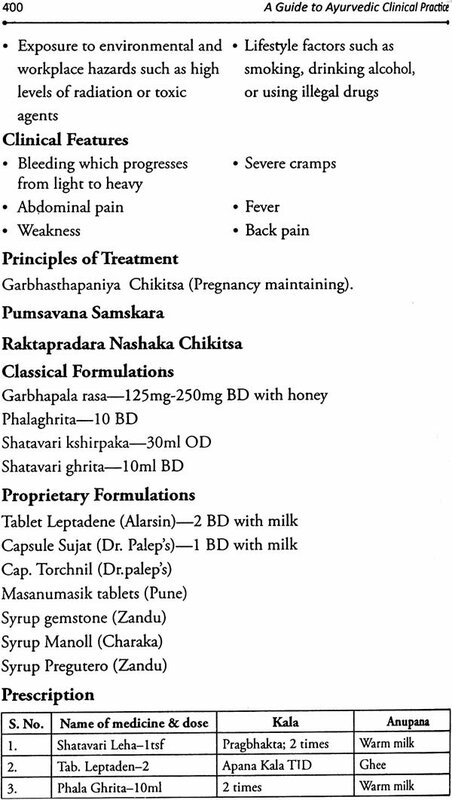 Classical (including Kraliya texts) & patent medicines are included with company name & dosage. 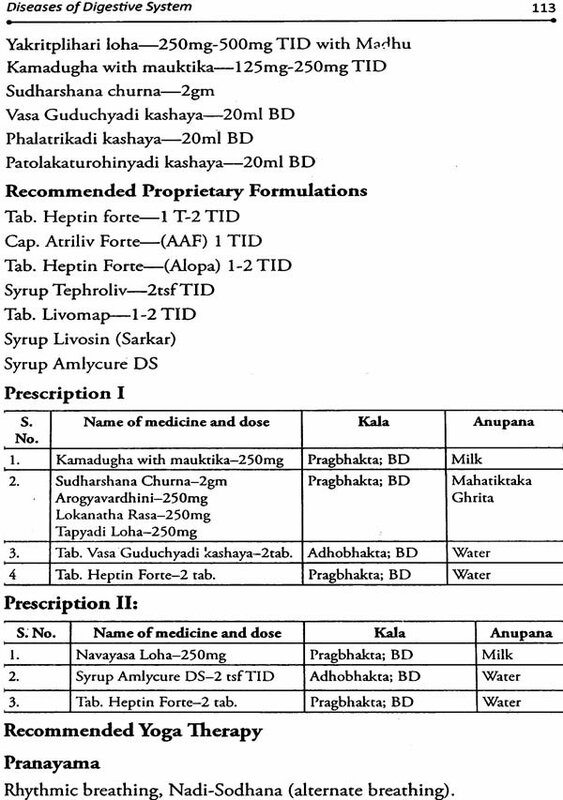 Prescriptions include the combination of formulations including rasa aushadhi based on my experiences. Dr. Vasant Patil did graduation from SVM Ayurvedic College, likal and completed M.D. 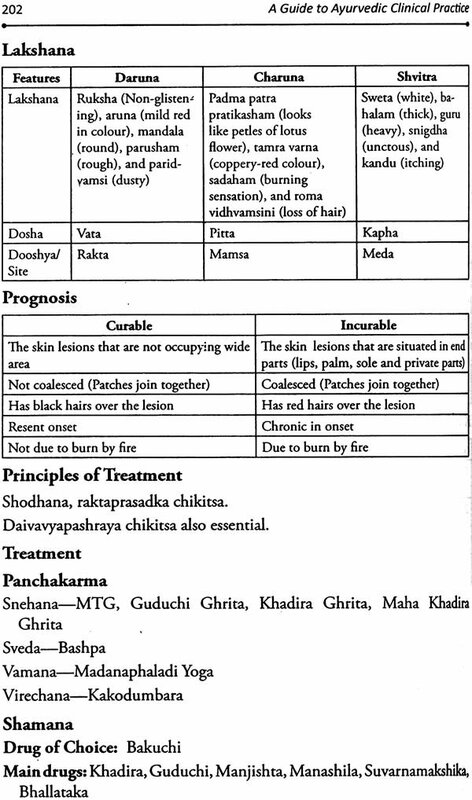 (panchakarma) in August 2006 from Institute for Post Graduate Teaching & Research in Ayurveda (IPGTRA), Gujrat Ayurved University, Jamnagar. He is well versed in Classical & Keraliya Panchakarma and is practicing Ayurveda since 2001 and engagedin teaching since 2006. He has published 8 papers in research journals and 5 articles in magazines. 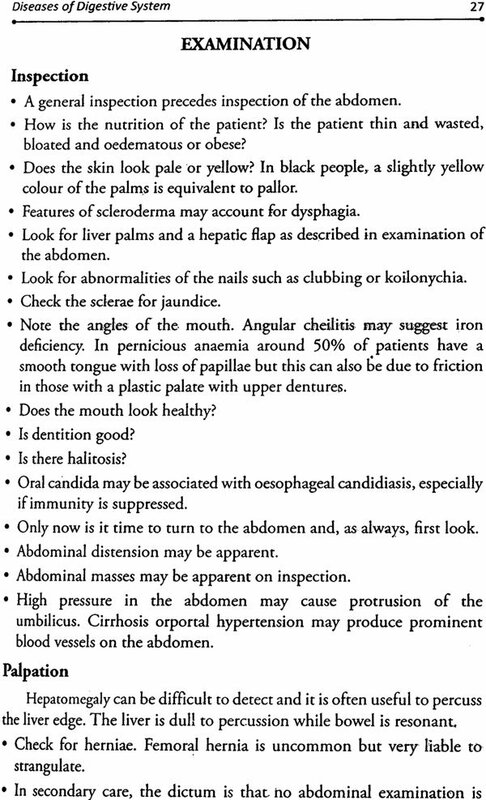 Author also reviewed more than 15 articles of Peer Reviewed International Journals. Currently he is working as editor-in-chief for Journal of Ayurveda and Holistic Medicine (JAHM). Ayurveda, the science of life, holistic medicine offers a complete solution with medicines, diet and lifestyle. The radical shift occurred in defining health encourages the medical fraternity of modern times to look deeply into empirically evolved techniques for the maintenance of positive health. The recent WHO report says that 70% of the world population is using herbal medicines for their primary health care. In last decade the use of herbal medicines increased tremendously. Safe and effective prescribing is a basis of proper patient care. 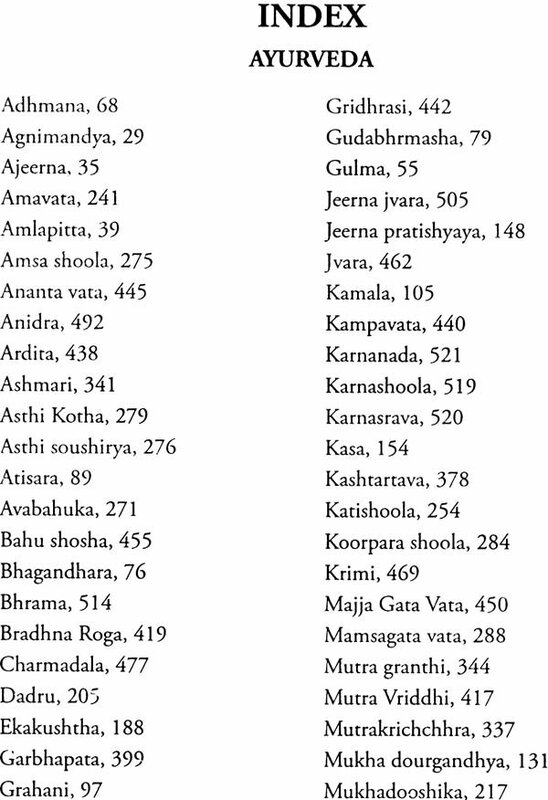 Many pocket books or practical available for allopathic medicine in market but very few for Ayurveda. In order to fulfill this I have undertaken this task. 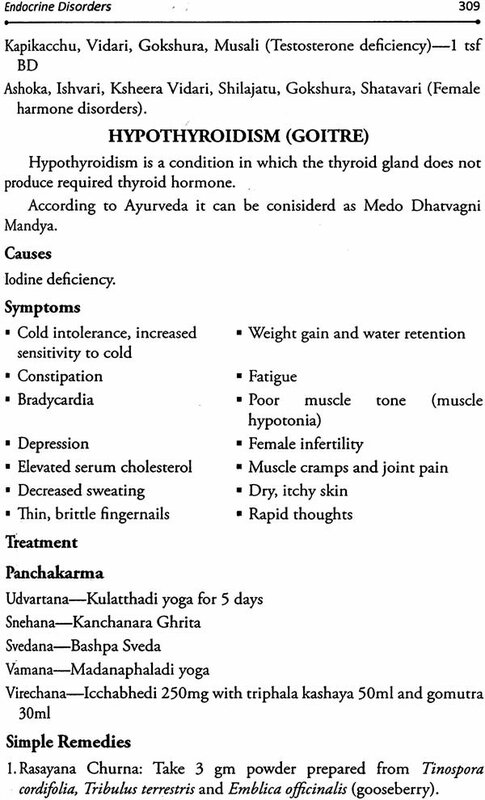 In order to diagnose the disease on the basis of Ayurvedic principles, the physician should have to work very hard to know the subtle changes occurring inside the body due to the imbalance of Dosha. 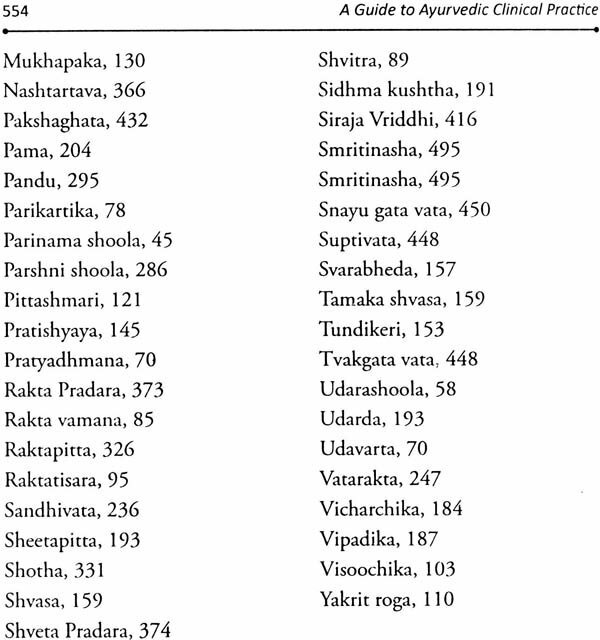 To become perfect in Ayurvedic diagnosis, the physician to understand Dosha Vikalpa (Dravyataha-Gunataha-Karmataha Vriddhi of Dosha), Dhatu Vaishamya (the quantum of vitiation, the status of Dhatu & Srotas), Agni Sthiti and nature of Ama. It is essential to get the practical training from the Guru (Teacher) in order to become perfect in Ayurvedic diagnosis, as evidenced from the Vabhata’s citation, “The proficiency comes by continuous practice just like the genuineness of diamond, etc. can’t by known by mere reading of books. The fundamental principles for treating any disease are Bio-purification, Palliative medicine and avoiding the causative factors. 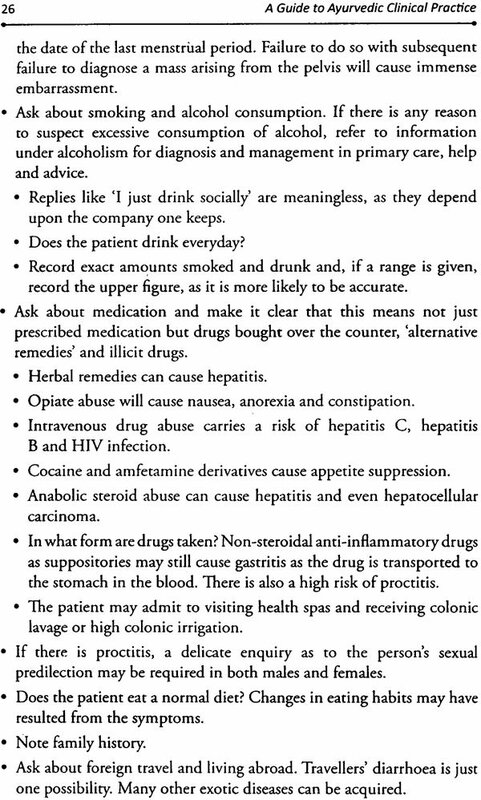 Considering this, the author tried to incorporate these tried principles of treatment. 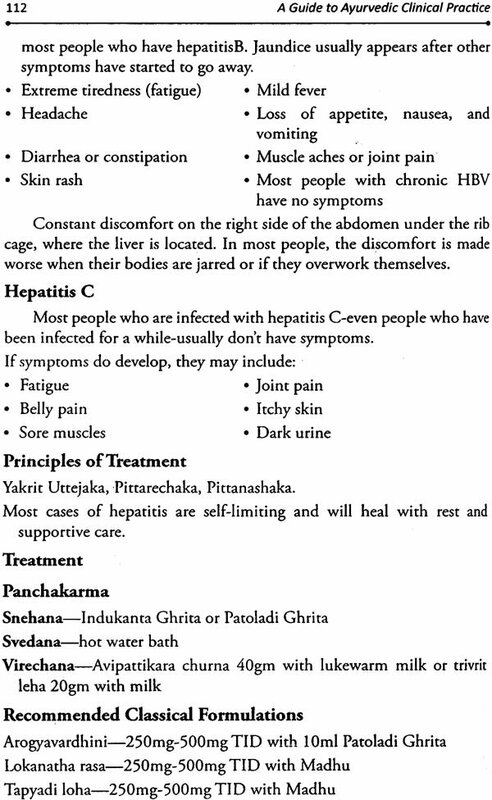 For every disease, causes, symptoms, diagnosis prognosis, Principles of Treatment, Panchakarma treatment, Palliative treatment, formulations, Prescriptions, Yoga therapy, Pathya-Apathya are explained. 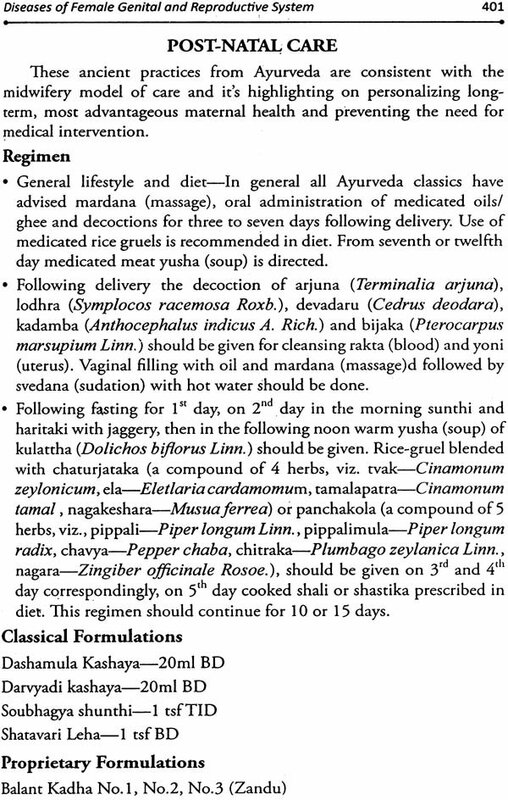 I hope the Vaidyas will become efficient by practicing these principles, medicines, regime and diet described in this book. Ayurveda is the ancient medical science, which existed in human societies before the application of modern science to health. Ayurveda dates back an estimated 5,000 years and is widely considered to be the oldest form of health care in the world that uses a comprehensive approach to diagnose and treat the disease, including both medical and surgical techniques. The unique feature of Ayurveda is that it gives importance to the holistic treatment. By this the disease will be destroyed from the root level and it does not re-occur. Ayurveda is the first medicinal system to incorporate the promotive and preventive health care management. Promotive and Preventive measures help in prevention of infectious diseases and even genetic diseases too. The glory Ayurveda lies in its evolution of theory of maintenance of health and genesis. Centuries have come and gone; the nature of disease perhaps has changed; new diseases have appeared and some of the old one almost extinct. But Ayrvedic principle of maintenance of health stands for all times and circumstances justifying ancient needs and catering for the future. Ayurveda considers the human being as part of nature. In other words, the nature (macrocosm) and human being (microcosm) are having the relationship of whole and part. Here the whole and part are having same characteristics but they never become equivalent. According to Ayurveda immunity is decided by the genetic, place of birth, time of birth, season nutrition, digestive power, etc. factors. Ayurveda believes in soil (body) not in the seed (bacteri, virus, etc.) but modern medicine believes in seed andgives importance to the soil. So they developed vaccination for preventing the infectious diseases. 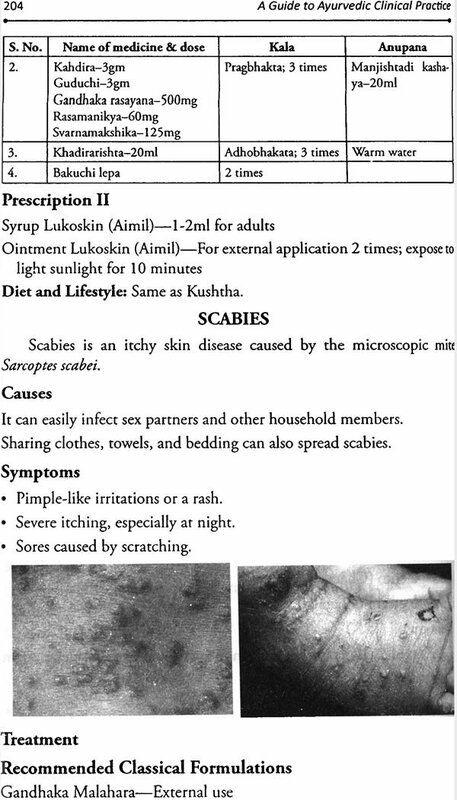 But Ayurvedic classics strongly believe in immunity and they advised to increase the immunity by giving immune-modulators rather mere killing of bacteria, etc. germs. 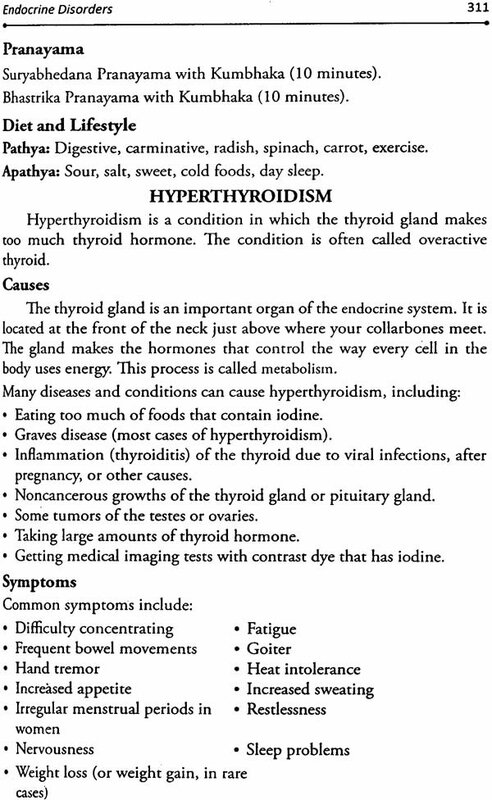 According to Ayurveda the treatment is done till the normalization of the bodily tissues (dhatusamya) but the modern medicine treats the disease till symptomatic relief. 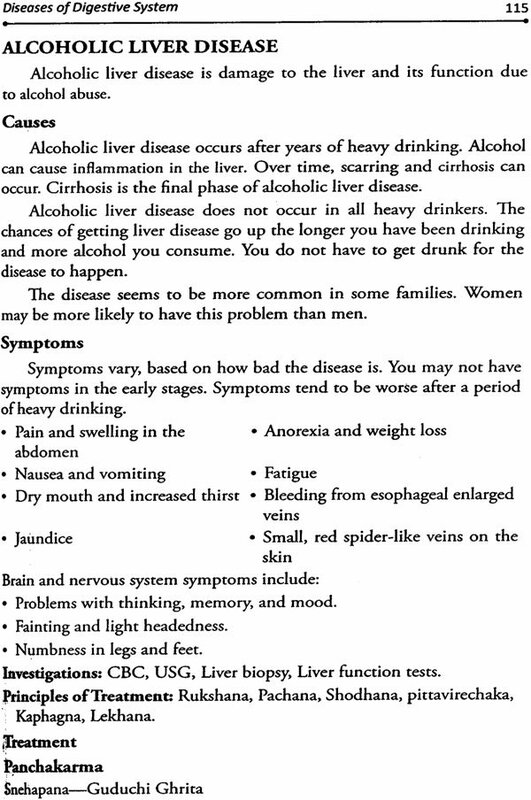 So in most of the instances, diseases will recur. 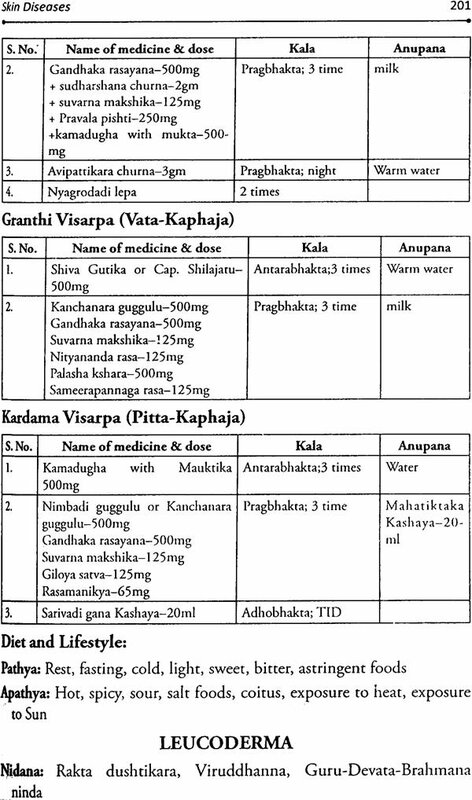 In Ayurvedic treatment, the selection and dosage of medicines are specific to the patient and the dosha. 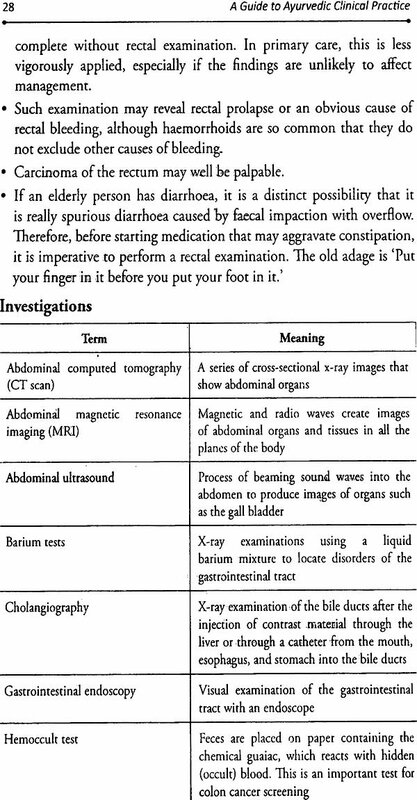 Pancharma, involving five therapies using purgatives, therapeutic vomiting, medicated enema, nasal administration of medicines, and blood purification. Dietary and lifestyle interventions are initiated according to the disturbed doshas and based on the prakriti (ohysical and mental constitution) of a person. Whereas the modern medicine does not treat the patient as a whole. 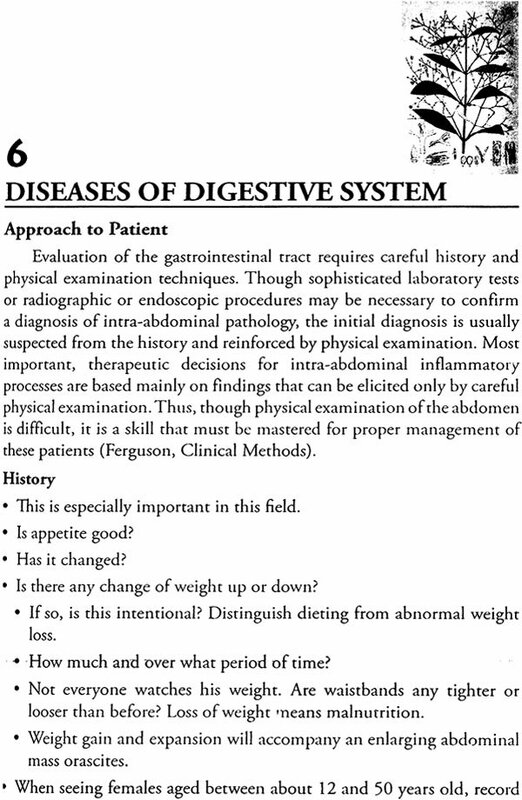 The dose of medicine is decided on the basis of digestive fire of patient, strength of patient, strength of disease, etc. 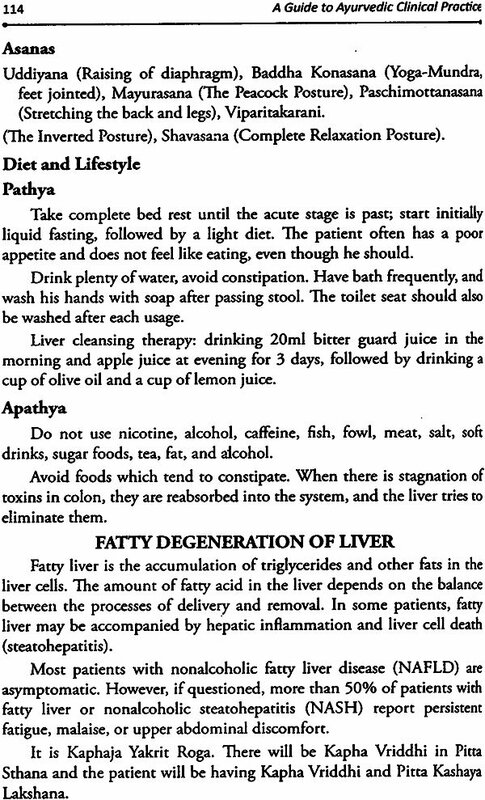 but modern medicine advises to fix the dose of medicine on the basis of Body weight or surface area of body. The herbo-mineral and poisonous drugs properly purified and prepared according to the classics and administered for shorter period in appropriate dose does not cause adverse effects. So in the classics it has been told that even the nectar in excess quantity becomes poison and the skilful use of poison yields beneficial effects. 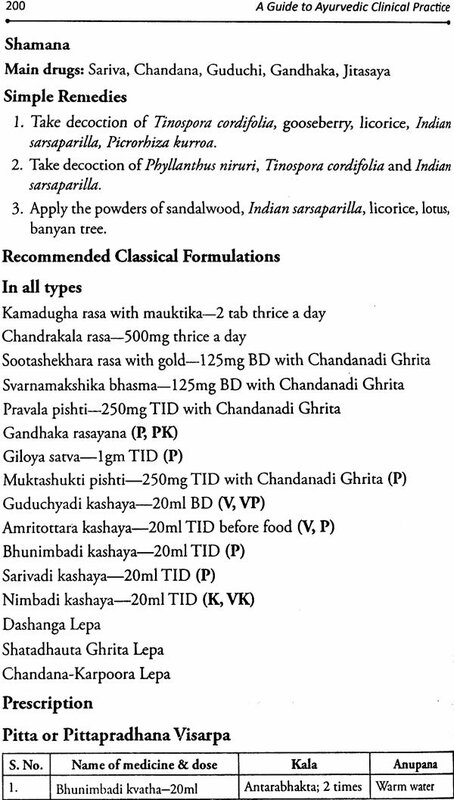 Ayurveda advises to use the drug as a whole but modern medicine extracts the active principle. But contrary to this the modern drugs are having serious adverse and allergic complications even if they are given in appropriate dose.